Losing your temper every now and then is common, but it is also something that can lead to further complications in your life. It is important to know how to control your temper in vulnerable moments before you react negatively, or say something hurtful, that can ruin your relationships and create destruction in your life. Learning how to control your temper is an important skill that will help you in every aspect of your life - your relationships, your friendships and your career. Learning how to control your temper would require some practice in your everyday life, so here are some confirmed tips that can help you in this regard. The first rule of knowing how to control your temper is to stop yourself from reacting in anger. When you are angry with someone, the first reactions you are going to have would be negative - it can be some rash action that you are going to regret later, or something hurtful that you are going to say without thinking. When angry, take your time before reacting; pause and take a few seconds before you do or say anything to the person you are angry with. If you don't react immediately after your first bout of anger, chances are that you are going to have the chance to calm down before taking the next step. The next step for you to take would be to, if you have the chance, remove yourself from the situation at hand and especially the person you are angry with, if you want to know how to control your temper. Removing yourself from the source of anger will give you enough time to cool down instead of reacting negatively in your anger. If it is your partner that you are having a fight with, take a break and leave for an hour; if you are angry with your children, ask them to go to their room until you are calm enough to deal with the situation rationally. If you are angry with someone at work, take a break and leave the room or the building for an early (or late!) lunch and come back later. If you have a quick temper, take a deep breath and start counting. Count down from 10 to 1, slowly and with each breath in your mind. By the time you have counted till the number 1, you will probably feel better; you will also feel your anger melting away. But if you are still not quite calm, then count again - start from 10 to 1 slowly and try to compose yourself. This is a great way of meditation which is also very important in knowing how to control your temper. Close your eyes and take some deep breaths when angry; it will help you relax and control your anger in critical situations. Deep breathing also helps your heartbeat slow down, and your body will get extra oxygen - both actions help you feel relaxed when you are overexcited. When you are extremely angry, take some time yourself and remove yourself from what's bothering you. Take deep breaths for a few moments alone, and then you will be calm enough to think about the whole thing rationally. Take a few minutes to think about the situation, and especially of your reasons for being angry. 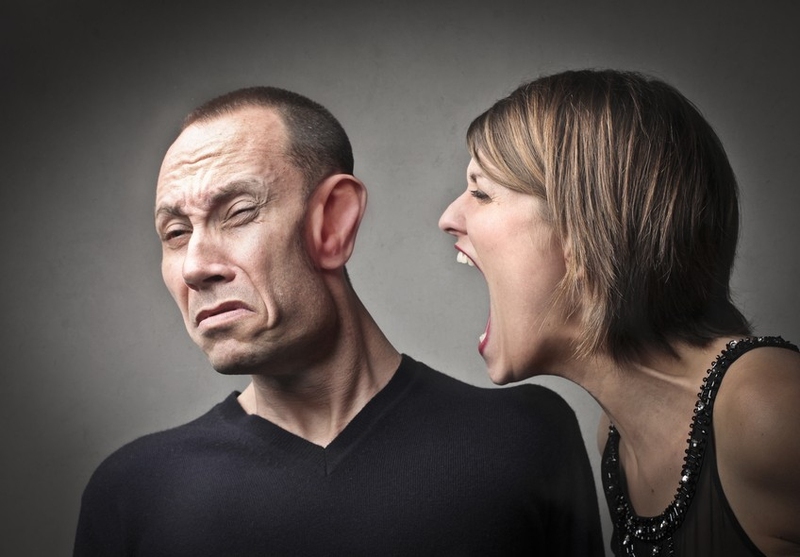 Were you being reasonable in getting angry, or did you just overreact to a situation? Did something or someone offend you, or was it something that you couldn't control? Were you honestly angry, or just tired and exhausted? In many situations, hunger and exhaustion is misinterpreted as anger, and people react excessively to a simple provocation. It is important that you take some time and think about what the situation is that is making you so angry, and you will be able to come to a proper conclusion. Think back to the past when you have been similarly angry, and think of what your reactions had been. Perhaps in your anger, you have said some hurtful things to the people around you, things that you now regret. Perhaps you had taken a thoughtless step that you are unhappy about now. Think of yourself in extreme anger and of the harms you can do in your life, and use that to calm yourself down. The best way to diffuse anger is to find something funny; so, when angry, try and find some humor in your situation. Take a moment and think of something funny - a joke you heard recently, a comedy that you have seen lately, something interesting that your child did, or a cartoon that you enjoy. Try this simple trick: imagine yourself angry in a humorous way, like in a cartoon. Face all red, hair standing up, steam coming out of your ears - you get the picture! No matter how angry you are, you will be able to laugh immediately if you follow this tip. Take a few minutes to yourself and go out in nature. It could be a walk in the park, or just a few minutes to spend in your yard. Nature has a very calming effect on the human mind, and spending some quality time with nature - just looking and taking in everything that you see around yourself - can help you control your temper. So, the next time you find yourself seething with anger, excuse yourself and take a stroll. Spend 5 minutes looking at trees, the clouds in the sky, or just feeling the breeze with your eyes closed. You will feel calmer and more in control with yourself, guaranteed!